Information about the daily program at Shirdi Sai Temple, know about the worship schedule of Saibaba temple of Shirdi. Here is the daily program at Sai Temple at Shirdi. The worship schedule at Saibaba temple begins early in the morning that continues till late in night. The daily worship program includes various rituals and rites that go into invoking Saibaba, and the congregation of devotees who seek the blessings of Shri Saibaba. Dwarkamai, Gurusthan and Chavdi get open for the devotees at 4.30am and the Samdhi Mandir opens at 5am. 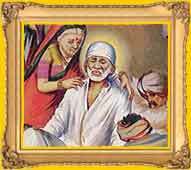 With this temple is ready with prays and other rituals invoking Saibaba of Shirdi. At 9pm Chavadi and Gurusthan close. At 9.45pm the upper part of Dwarkamai closes. And finally at 10.45pm the Samadhi temple is closed till the next day.